Vault of Light: My WoW arch nemesis. #! @&ing Harpies. My WoW arch nemesis. #! @&ing Harpies. I've leveled a lot of characters to eighty five during Cataclysm and one thing they all have in common is Marion Wormwing. Every single one of my characters has quested their way though Mount Hyjal and every single one of them has chosen to kill Marion Wormwing rather than letting her go. Some of my worst memories in WoW are down to Harpies. 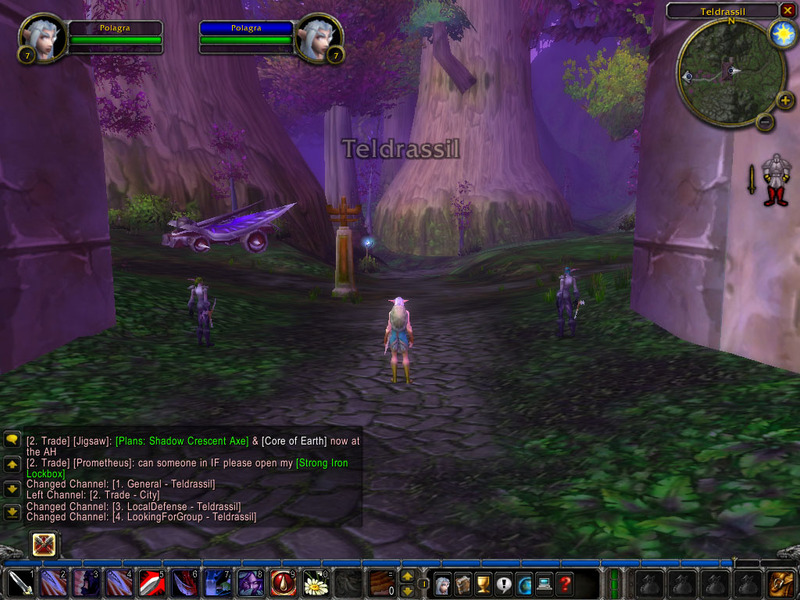 The first real character I leveled was my Warrior, being a Night Elf she spent most of her earlier time in Kalimdor. Thankfully this meant that she wasn't subjected to murlocs' instead she had to face harpies! Just outside of Darnassus is a small area called The Oracle Glade which is where I first met what are now my most loathed mobs in the game. By level 10 I had encountered more of these harpies than I could ever hope to imagine. They roamed around in packs, fleeing when low on health to pull some friends. I died, I died over and over again. 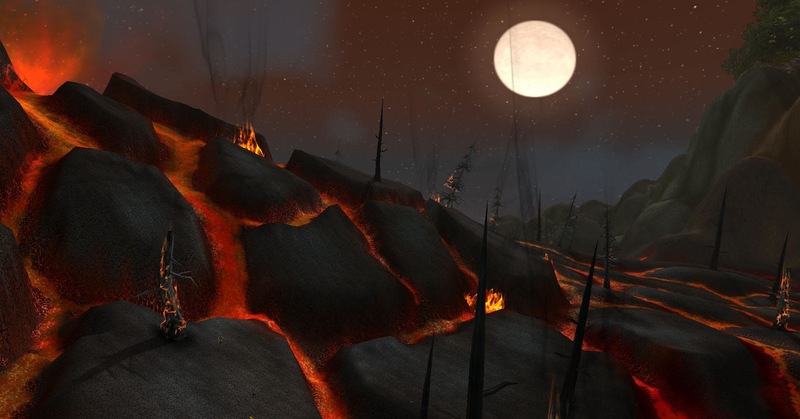 Within The Stonetalon Mountains is an area known as The Charred Vale. During Vanilla this place was the bane of my Warrior's life for what seemed like forever. I had several quests in the area and being new to the game I thought I had to do every quest I picked up. I went to the zone somewhat unprepared and a little lower than I should have been. I spent hours in this small part of Stonetalon Mountains dying repeatedly to a large packs of harpies. Among them was a rare elite who I could not kill but kept accidentally pulling. They seemed to have no set path, fearing you into more and more of their allies. After having been to the zone a few times most people learned the safest way to get though was to walk around the absolute edge of the mountains as most of harpies congregated in the middle. The Charred Vale is a very different place now from what it was. The Shattering brought with it a volcano eruption which has wiped out the resident harpies. The zone is now occupied by black dragon whelps and black drakes instead. Oh yeah, those gnolls were a nightmare! They usually come in packs of three for a lowbie they mega hurt! Ah, how I had blocked out my time in the Charred Vale! My nooby little Night Elf priest stood no chance against them. As much as I loathed those damned harpies, it's kinda cool reminiscing on the days when WoW was all shiny and new for me. Thanks for the great post! Thank you! Yeah, that's part of the reason why I started my blog. More of just a reminder for me in years to come! Harpies are awesome, amazing and adorable!!! Apart from the ones in Stonetalon because that pre-Cataclysm quest was hateful. If I had to get rid of any mobs I think it would be those green squishy looking hairy spiders because when I made my very first character I died so many times in the spider cave in Teldressil, every time I see a similar looking spider I get nightmare flashbacks. I was worried that you may be offended by this post /soothe. I don't remember dying too much in the spider cave but I do remember being stuck in there, lost, going through the same winding tunnels for a very long time! Nagas.. these darn nagas that pop up freaking every where. Whats the deal yo? Stay in the darn water, you dont belong on land!!! Haha! Oh god, Azshara when you used to get down the the beach and then I'd always struggle to find my way back up to land! I haaaatted that place. Murlocs. ;_; They're everywhere and it's impossible to low-level fish in Westfall without being constantly harassed & killed by them. The only harpies I've had problems with are the ones that inhabit Time-Lost/Vyragosa's patrol path and have it stuck in their heads that attacking a level 85 is a perfectly good idea. I've also never released Marion, what happens if you do? Rep bonus? Anything? I have no idea, I think she just makes a bitchy remark and leaves. Murlocs are a nightmare especially the ones in Elwynn forest by the Logging camp. Those ones drink potions! Potions I say! As well as run into many of their friends. Murlocs they are for me. 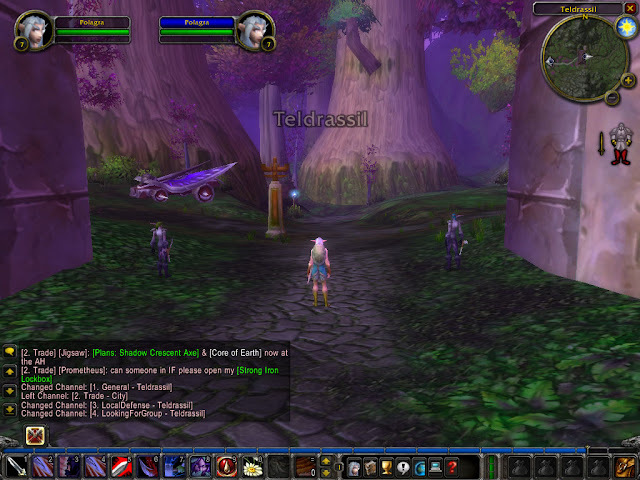 Back then I was leveling in Elwynn Forest and they kept ganking me. I didn't manage to pull less than three at a time, and didn't stand a chance against them with my white/grey/unequipped gear. Another memory like that is from the first kobold mine one is assigned to investigate. I didn't dare enter the second one after that experience.